In today’s rumor rundown, Matt Duchene is staying patient in Ottawa, the Lightning are looking at trading a couple defensemen, one specific team asked about William Nylander and the Capitals are looking at moving around their prospects. Bob McKenzie was on TSN 1200 and was asked about the Matt Duchene situation on Ottawa. After Duchene voiced his opinion about how unhappy he was that Zack Smith was waived by the Senators, there’s an even more watchful eye on what happens with his future with the team. McKenzie thinks that if Duchene gets the sense that Ottawa is going to struggle to win, he’ll want out. It was all the losing that took place in Colorado that led to Duchene wanting to leave the Avs and he’s not likely to extended long-term with a team that is expected to lose a lot over the next few seasons. 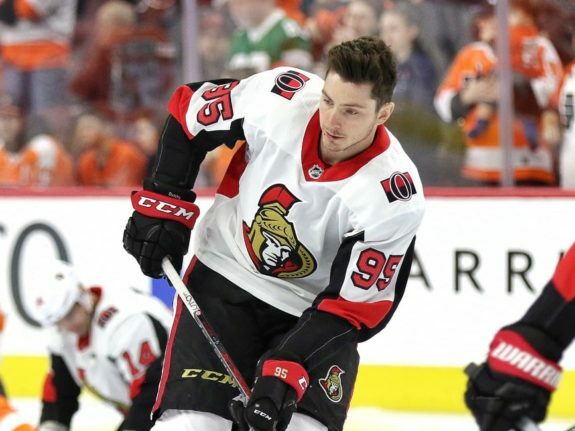 McKenzie did say that if the Senators surprised and were more competitive than people believe with a new and more healthy environment surrounding the team, Duchene might want to stay put. 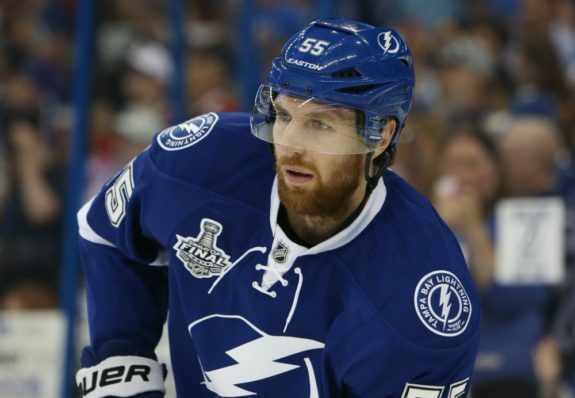 Joe Smith of The Athletic is reporting via a Twitter post that the Tampa Bay Lightning are looking to potentially move defensemen Braydon Coburn and Slater Koekkoek and have been making calls to gauge interest. The reason appears to be the emergence of Erik Cernak who has impressed in the preseason. Cernak was sent down but the team is looking to make room on the roster for him. Coburn has one year left on his deal and carries a $3.7 million cap hit. He’s overpaid for his production having ranked sixth in ice time per game on the team. He’s a decent third pairing player but not much more and the Lightning may have to eat some of his salary to move him. Koekkoek is a 24-year-old who was often scratched for the Lightning last season. He played only 35 games even though he was with the pro team all year long. With a cap hit of $865,000, he’s a bit of an easier sell in terms of moving a contract. Pierre LeBrun was on TSN 1050 last week and mentioned that the Carolina Hurricanes called the Maple Leafs about forward William Nylander. 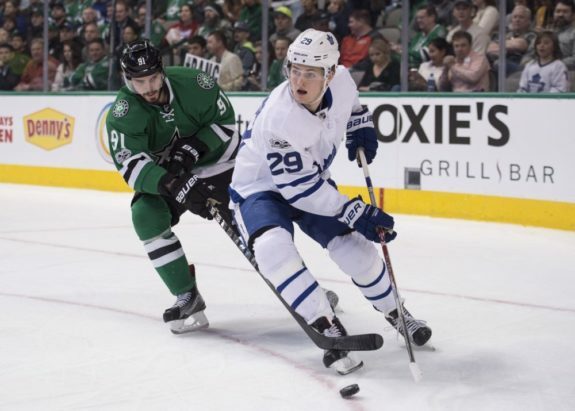 He said, “I can tell you that I know the Carolina Hurricanes are among the teams that have phoned of late to check in on William Nylander with the Leafs.” He added the question was, ‘Are you trading him?’ Carolina was told no. Isabelle Khurshudyan of the Washington Post is reporting the Washington Capitals could be looking to move some of their prospects. “I think we have more defense prospects than forward prospects,” General Manager Brian MacLellan said. He added if the opportunity comes up, Washington would like to better stock their cupboard in forwards. Part of the reason is that forwards Brett Connolly, Devante Smith-Pelly, and Nic Dowd will be unrestricted free agents, with Chandler Stephenson and Andre Burakovsky as restricted free agents. The Capitals need young players to potentially come in and fill holes.